Deep in the forest something is stirring! 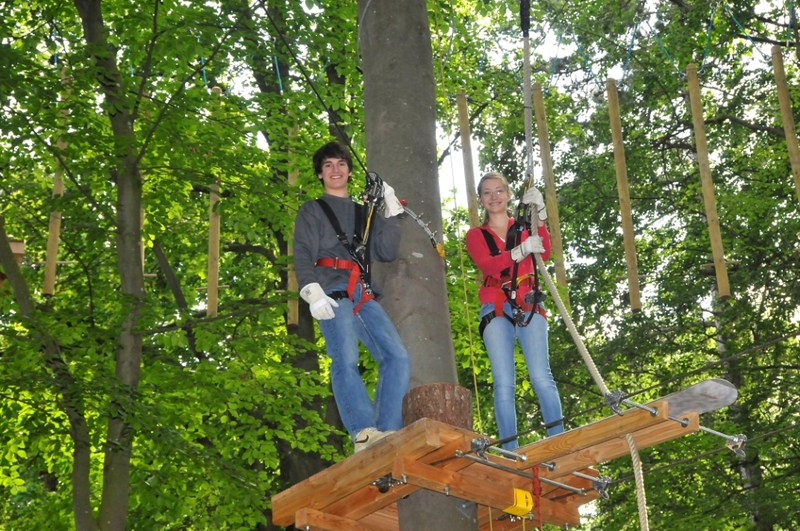 Test your nerve and agility on over 150 elements: fly through the forest at an altitude of up to 120 meters, conquer climbing walls or swing from tree to tree like a monkey – using the latest safety equipment of course. Adventure, action and fun for the whole family on the high ropes course – a safe experience is guaranteed! Getting there: The high ropes course is located in the “Amerikanerwäldchen” just before the gates of Rothenburg; just enter “91541 Rothenburg ob der Tauber” and “Blinksteige” as the street name in your GPS. Opening hours: Times can be found on the website. In summer the course is open every day and in spring and fall from Monday to Friday.